Home is the foundation. But for the nearly 4 million American households for whom even a modest rental home is out of reach, life can be a daily struggle for survival. That’s why the National Housing Trust Fund Campaign is fighting hard to fund and protect this essential program. The National Housing Trust Fund is intended to provide communities with funds to build, preserve, and rehabilitate rental homes that are affordable for extremely low income and very low income households. No federal money has ever been committed to this program. Now, some in Congress want to take away this vital resource before it’s even had a chance to work. In a Subcommittee markup, the House Financial Services Subcommittee on Capital Markets and Government Sponsored Enterprises (GSEs) approved a package of bills intended to dismantle the housing GSEs, Fannie Mae and Freddie Mac. One of the bills, H.R. 2441, introduced by Representative Ed Royce (R-CA), would abolish the National Housing Trust Fund (NHTF) as well as the Capital Magnet Fund. The bill passed by a party-line vote of 18 to 14. As we saw in this markup, opponents of the National Housing Trust fund are using lies and scare tactics to convince you that the National Housing Trust Fund should be abolished. Does this sound bad? Sure. But we’ve seen worse. Plus, we’re fighting back with the truth. Visit our Truth About the Housing Trust Fund website to learn the real story about the only rental housing production program designed specifically to serve the lowest income people in the United States. When you visit www.truthabouthousingtrustfund.org, you’ll find two important documents. One is a rebuttal of Mr. Royce’s assertions about the NHTF during the markup. The California representative said a lot of things about the National Housing Trust Fund in an effort to discredit it. 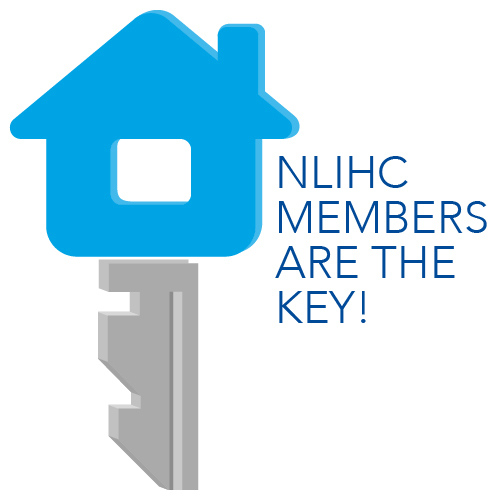 NLIHC responds to each of these statements with facts about the program. You can use these same facts in conversation with your own Members of Congress to show that the NHTF is a unique program very much needed in your community. 2 of the 89 “programs” on the list are not actually programs. Only 19 of the 89 so-called programs include rental housing as an eligible activity. Only 1 of those 19 programs is targeted to extremely low income people. That program is the National Housing Trust Fund. While we’d like to think the facts speak for themselves, we know that the truth needs defenders. Please visit www.truthabouthousingtrustfund.org, read up on the facts, and be prepared to use them to defend the NHTF. There are 4 million extremely low income households counting on your advocacy. What else can we do to help you defend the National Housing Trust Fund? Let us know in the comments!